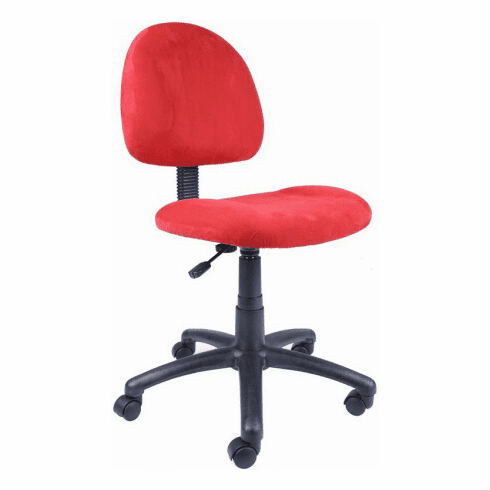 Boss Blue, Red or Pink Computer Task Chair [B325] Free Shipping! This computer task chair from Boss Office Products is upholstered in durable and easy to clean microfiber upholstery available in four different fabrics. This task chair meets or exceeds ANSI/BIFMA standards. This chair normally ships within 2-3 business days from either our CA or GA warehouse.